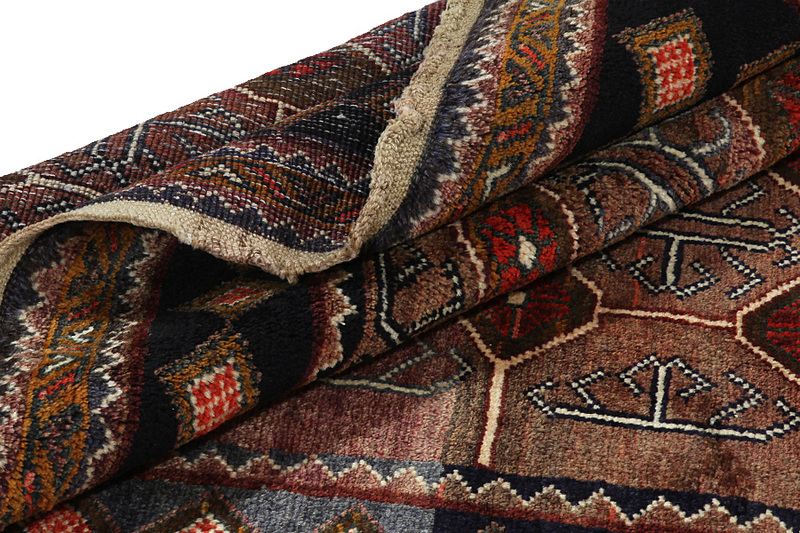 Lori Carpets : Carpets woven by the Lurs, a nomadic tribe in the mountainous Kurdish region of Southwest Iran, bordering Iraq. 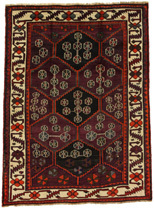 The Lori carpets usually have geometric shapes, often with rhombi and strictly linear scenes of the herbal and animal world. 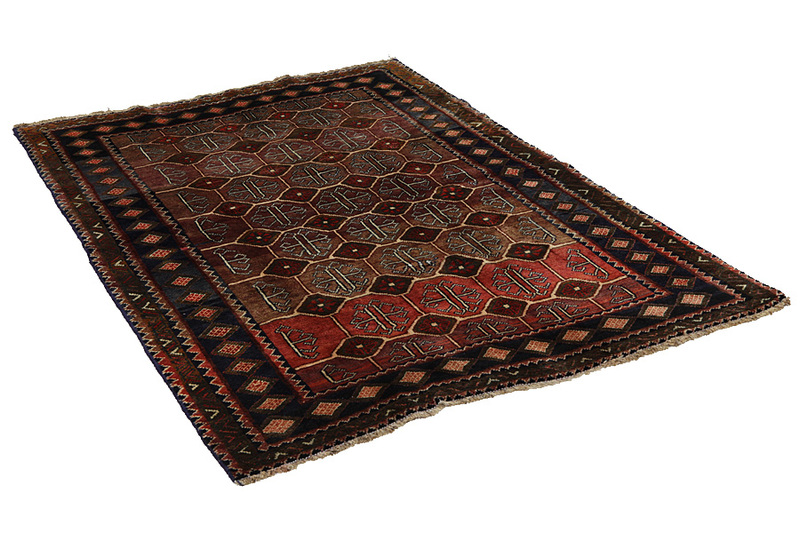 Because the areas where the Lurs live are inaccessible and isolated, they still weave with the old traditional ways, without influences from the Europeans. 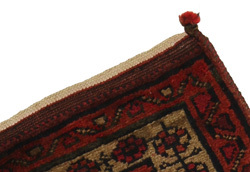 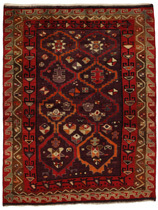 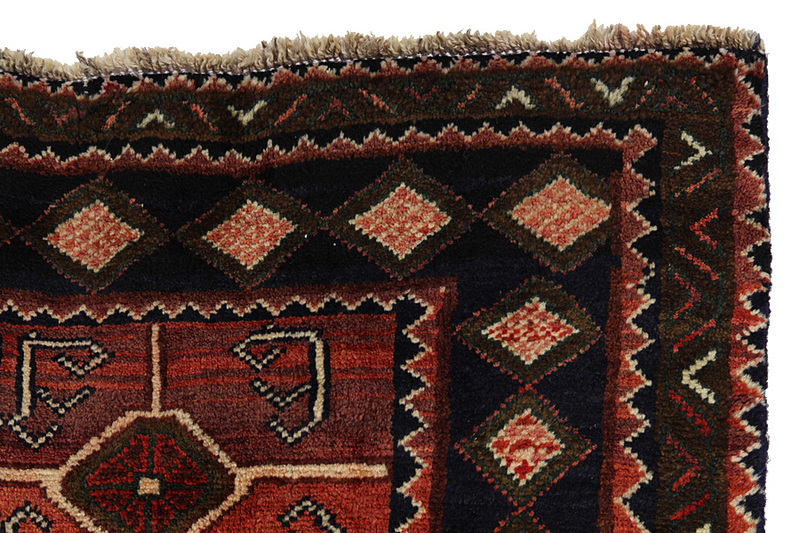 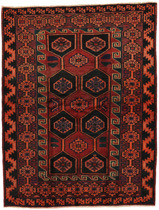 The centre of Luristan is Choremabad, which gave its name to the carpets woven there. 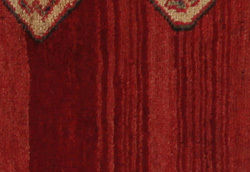 Furthermore carpets have been named after the salt lake Neris. 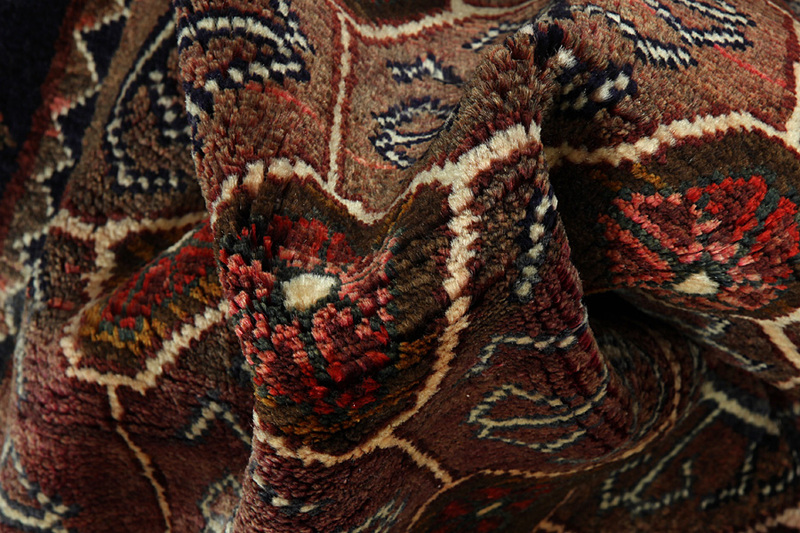 Bakhtiari Carpets : In the mountains Zagros, west of the city of Isfahan, around the town of Shahr-e-Kurd, live the nomads Bakhtiar. 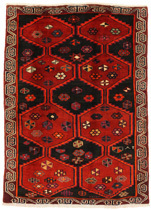 Their carpets are known for the design with various repeating squares in which flowers and animals are depicted. 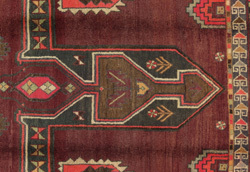 For this reason the design is called "garden"(Khesti). 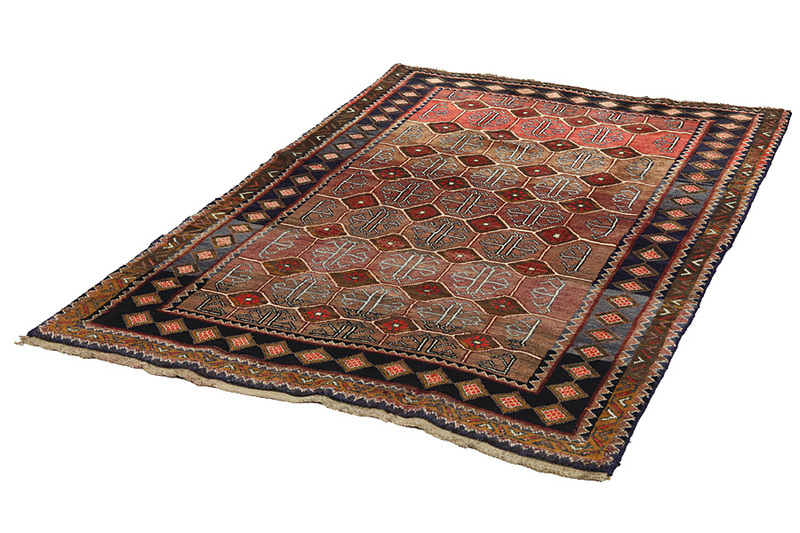 Their carpets are very durable with a dense weave and very good quality Persian wool coming from sheep grazing at a high altitude. 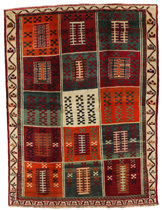 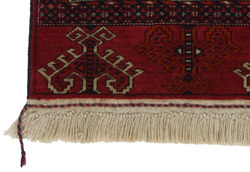 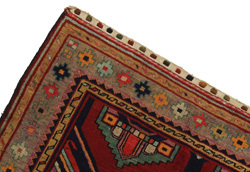 The best Bakhtiar rugs and carpets with highest knot density are often called Bibibaff. 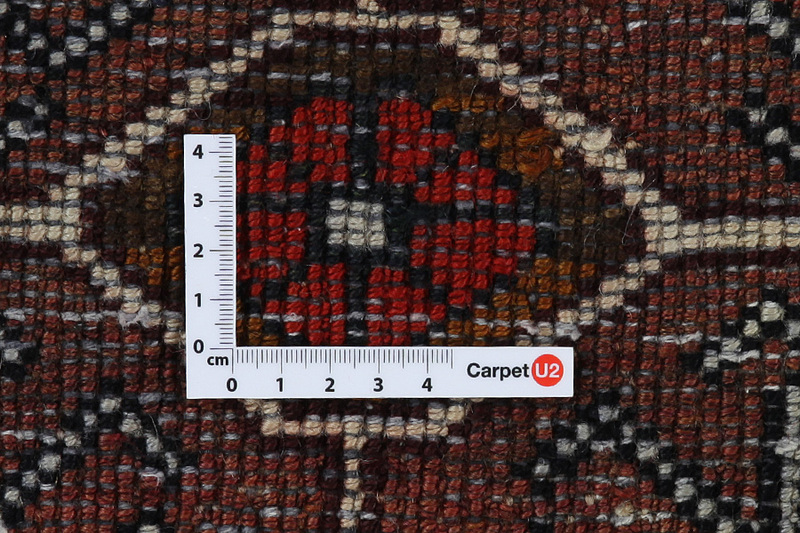 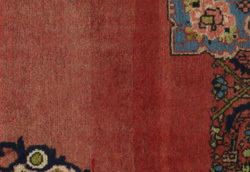 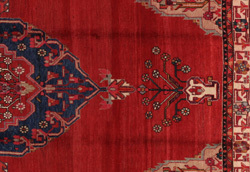 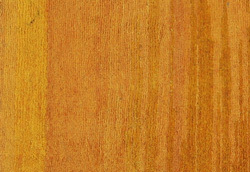 Also in many designs we see influences from Isfahan carpets. 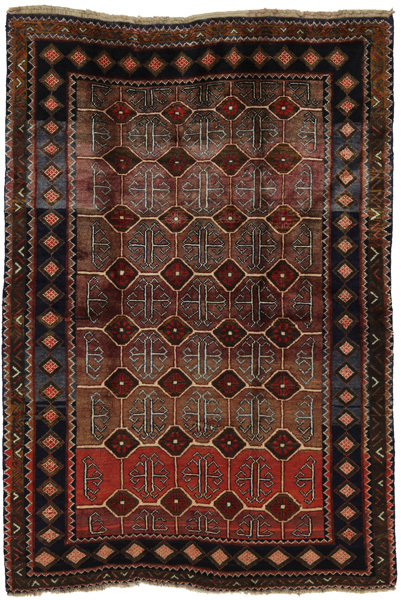 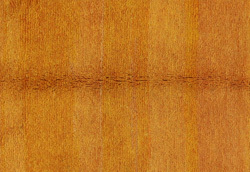 (Boldaji - Feridan - Saman).